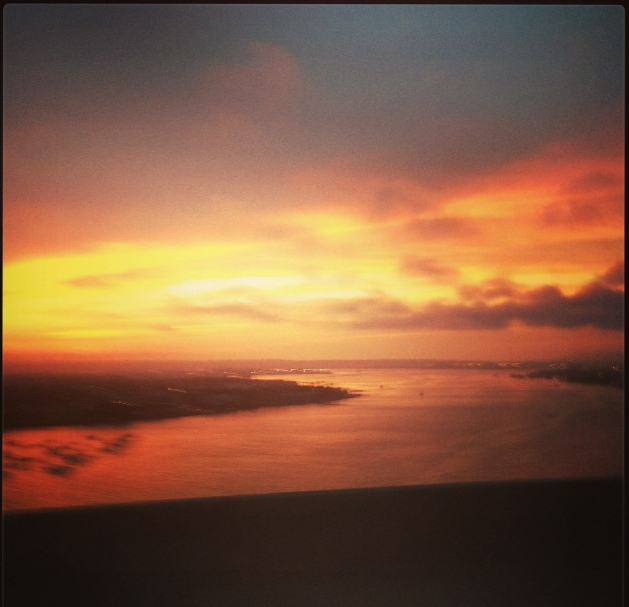 Picture taken on the huge bridge from San Diego to Coronado Island at sunset. I don’t like heights. My knees get weak, wobbly, and I am frightened. It’s always been that way. I do love to ski, but you won’t find me looking down to the ground from a precarious position on a steep slope.I’m such a weenie. I’m frightened even on a high bridge looking over the edge. The bridge to Coronado is very, very high, and I am nervous whenever we pass over that bridge. Part of my nervousness is added to the fact that I’m not driving. Does that sound like a male control freak? When I think about bridges several songs come to mind. There are not too many hymns or praise songs about bridges. Is Simon & Garfunkel’s “Bridge Over Troubled Waters” a hymn? Okay. What’s a weenie like me doing in a place like this? Namely, the jaw-dropping-high bridge from San Diego to Coronado Island. My weeniness has to do with heights. High altitudes make my knees wobbly. My whole body goes weak. So weak you would think I was Superman staring down a chunk of Kryptonite. Heights scare me so much I need the Wizard of Oz to give me a new brave heart. Actually, I don’t need the Wizard … I don’t even believe in him. The reason is that God sometimes gives me something so overwhelming, like the sunset you see in the photo accompanying this blog, that I forget to be afraid. I might even lean out the car window while traversing a bridge that would give tremors to an astronaut, and snap a photo. That’s what I did. A major reason for having that sudden wave of courage is that I like bridges. Every life passage is a bridge from somewhere to somewhere. Right now I am way out on a bridge called “Cancer.” You might say I started from a nice place called “health” and am proceeding to a dark place called, well, you know. But that’s not the way I see it. I was in that car crossing the Coronado-bound bridge when I snapped the picture. Someone else was driving-Bonita, my wife. I could relax even though I was way up in the terror zone for me, because I knew the driver, knew I could take my eyes off the road. Trust the driver; that’s the bottom line. So on this trek through cancer I know Who the Driver is. I don’t like pain, needles, knives, and nosey people poking my body. But I like where God takes me. The trip over the Coronado Island bridge with Bonita at the wheel and the beauty I saw up there overwhelmed my fear. The trip up on the high bridge called life with God doing the steering, gives me so much peace I can look up and see the beauty, know the peace, and experience the joy. Even though the passage right now is through the bumpy span of cancer, God is driving my journey. 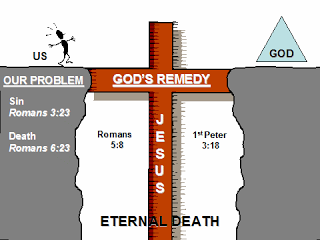 I love the illustration below about how a person can find God’s peace defined in The Roman Road. The most important element of that picture is the bridge. In this case the bridge is Jesus Christ. Jesus is our bridge to God over the chasm of our sin. We are separated by our sin needing Jesus to get us to the other side into the loving arms of God where we can discover peace. 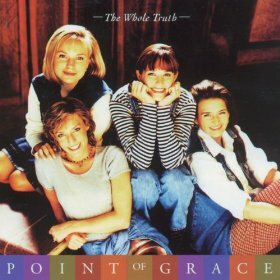 Point of Grace sang a song many years ago called “The Great Divide.” It’s the gospel and clear explanation of The Roman Road. Listen below to that powerful song. Feel free to sing along!